Marcus Miller Band Event home HamiltonThe PromNetworkTo Kill a MockingbirdKiss Me KateHadestownOklahoma! Why See Marcus Miller Band? 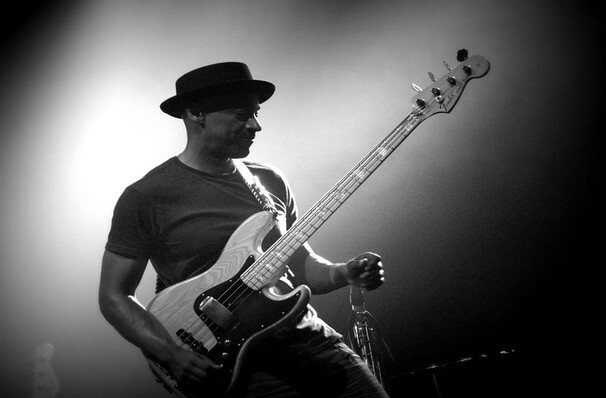 After being discovered in 1975, Marcus Miller has gone on to have an incredible career. The master of multiple instruments has released eight studio and three live albums as well as working with music greats including Eric Clapton, Roberta Flack, Mariah Carey, Aretha Franklin, Jay-Z and more. Miller was born into a musical family and spent 15 years performing as a session musician while arranging and producing music at the beginning of his career. In the 90s Miller went on tour regularly after establishing his own band and writing and producing his own music. The two time Grammy Award winners career began in the mid 70s and has led him to playing bass on over 500 recordings for other legendary musicians. Today, he tours with his band, hosts a jazz history show entitled Miller Time and is also a film score composer. Sound good to you? 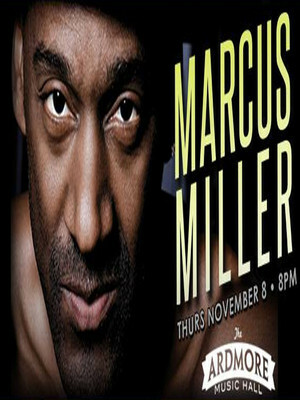 Share this page on social media and let your friends know about Marcus Miller Band at Prudential Hall. Please note: The term Prudential Hall and/or Marcus Miller Band as well as all associated graphics, logos, and/or other trademarks, tradenames or copyrights are the property of the Prudential Hall and/or Marcus Miller Band and are used herein for factual descriptive purposes only. We are in no way associated with or authorized by the Prudential Hall and/or Marcus Miller Band and neither that entity nor any of its affiliates have licensed or endorsed us to sell tickets, goods and or services in conjunction with their events.